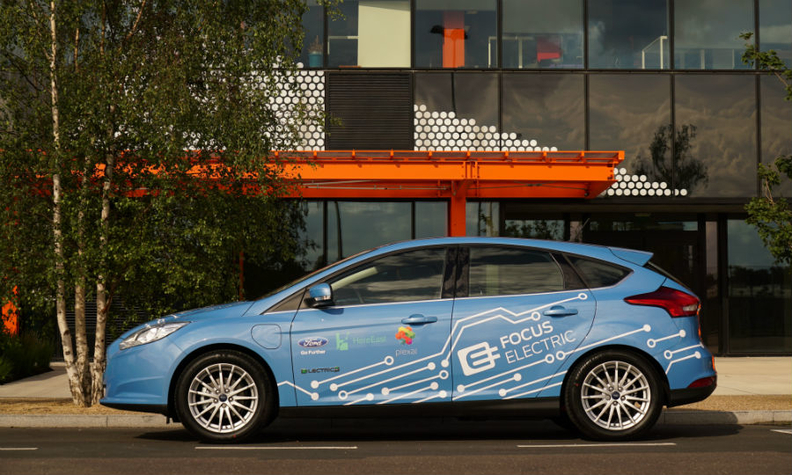 Ford's third future mobility office is located in a tech hub on the former site of the 2012 London Olympics. LONDON -- Ford Motor is opening a new office in London focusing on future mobility solutions for Europe, as the city seeks to cement its place as a tech investment center one year after the Brexit vote. Ford's new venture will hire around 40 specialists and open later this year, and is the automaker's third such "smart mobility" office. The others are in Dearborn, Michigan, and Palo Alto, California. Ford is set to trial a plug-in hybrid transit fleet in the UK this year. "Basing our rapidly growing team here in the heart of mobility innovation in London is critical to accelerating our learning and development of new technologies," said Steven Armstrong, Ford's Europe chief, in a statement. The announcement come almost a year after the UK voted to leave the European Union. While a number of investors have been vocal about the future of London as a tech hub, a range of tech firms have been hiring and investing in London. Tech startup factory RocketSpace, which in San Francisco was home to companies such as Uber Technologies and Spotify, recently opened a new office in London, while Google recently revealed plans for its giant new UK headquarters. The electronics company Hitachi is also working on a smart-grid project in Southwest England that seeks to combine renewable energy, battery storage and electric vehicles to balance power output and usage. Ford's new venture will be based at Plexal, the new 15-million-pound tech hub based in East London, on the former site of the 2012 Olympics. The 6,300-square meter venture has room to support around 800 technology firms, according to a statement from London & Partners, the Mayor of London's promotional agency. London is part of a wider trend of major cities and local governments using clean tech, urban planning, and analytics in a bid to become so-called "smart cities" -- where internet-connected devices collect data that can be used to tackle challenges from energy efficiency to traffic, crime and public health.